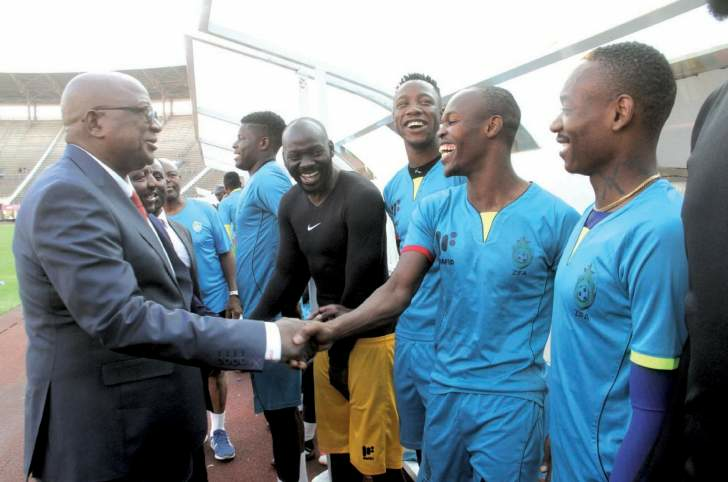 THE Warriors' duo of Knowledge Musona and Marvelous Nakamba's Belgian sides Anderlecht and Cercle Brugge have been raided by law enforcement agents over allegations of match fixing and private corruption. According to media reports, a massive corruption scandal has engulfed Belgian football as authorities carried out dozens of police raids in the country and around Europe in a vast probe into financial fraud and match-fixing. A total of 44 police searches took place in Belgium on Wednesday and 13 more in France, Luxembourg, Cyprus, Montenegro, Serbia and Macedonia, according to the Belgian federal prosecutor's office. Reports by mainstream global media houses quoted a statement from the Belgian prosecutor saying a year-long probe into football showed evidence of "suspect financial operations" by sports agents and indications "of possible influencing of games" over the last season. The judicial investigation concerns "criminal organisation, money laundering and private corruption," the statement added. Belgium's "Big Three" clubs Anderlecht of Brussels, Standard Liege and Brugge, all confirmed their premises had been searched. Anderlecht said they were "fully co-operating" with authorities. Reigning champions Brugge, who play in the Champions League, said their Croatian coach Ivan Leko was also taken in for questioning. Mogi Bayatein, a well-known agent in Belgium, and a former Anderlecht manager, was also interviewed. In a tweet on Wednesday, Belgium's Justice Minister Koen Geens said: "Match-fixing undermines the integrity of sports. The Justice Department is working for a fair sport." According to a report by Aljazeera, some agents were suspected of hiding commissions on transfers, players' pay and other payments from the Belgian authorities, the prosecutors said. "It was during the investigation, the prosecutor's office said, that indications appeared there may have been match-fixing during the 2017-18 season. Along with searches at "various football clubs", the prosecutor's office said club committee members, agents, referees, a former lawyer, an accountancy bureau, coaches, journalists and possible accomplices were also under investigation. The raids, which involved 184 police officials, took place in just about every region in Belgium. Musona joined Anderlecht in May this year from another Belgian side Oostende, while Nakamba signed for the Jupiler League champions in June last year from Vitesse Arnhem of Netherlands.